Like many in the business world, you’re very good at the business you do, but you are not necessarily an expert when it comes to technology. That’s okay. No one has the time for computer glitches, slow network speeds and persistent downtime, yet problems like these are often easier to “get around” than to fix — especially under the pressure of tight deadlines. Parallel Edge understands your position and recognizes your efforts to be the best you can be. In fact, we’re prepared to help you meet that goal. We offer technology solutions for all businesses, large and small. By working with in-house staff or by providing comprehensive management services, we allow you to dedicate your full time resources to what you do best. Meet the staff who make it happen. Robin joined Parallel Edge in 2016 with a degree in Business Management. She has spent the previous 13 years working in positions of responsibility providing Office Management and Financial Management support. Eric founded Parallel Edge first as a part time venture and, beginning in May 1996, as a full time business. Having come to IT support and CAD Management from the design side, Eric brought a unique perspective to IT support for the AEC industry. Rather than focus on the products, as most I.T. support groups were doing at the time, Parallel Edge started out focusing on the service side and only began offering Hardware and Software solutions as clients requested that service largely as a convenience. This approach remains intact today, our services expand based on client business needs, not on the latest greatest buzz. Bridging the gaps between practice area, technical need, and operational simplicity have always been at the heart of the Parallel Edge mission. Eric has written for CADence magazine, taught at AutoDesk University, and is a past president of the Philadelphia AutoCAD Users Group. He holds a master's degree in Interior Design from Drexel University and has successfully passed the National Council for Interior Design Qualification (N.C.I.D.Q.) exam, and yes he really does know the technical side. 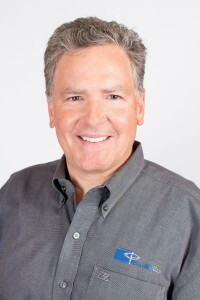 Prior to joining Parallel Edge in 2002 Doug spent over 15 years of working with multiple CAD systems and Network Administration. He has been using AutoCAD since version 9 and is well versed in all aspects of AutoCAD within a production environment of Architects, Interior Designers, Planners and Engineers. Doug has extensive knowledge in the use of many graphical and 3D modeling packages from Photoshop to Form-Z. He has a broad knowledge of Web based solutions and using HTML authoring tools. Doug has served as a Network Administrator within the U.S. and abroad on Novell, Microsoft and Apple networks. 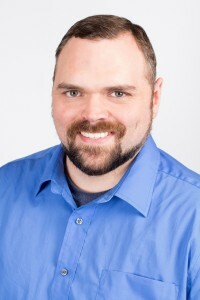 Doug has a Bachelor's degree in Architecture from Temple University and since joining Parallel Edge has earned his Microsoft Certified Systems Engineer (MCSE) certification. 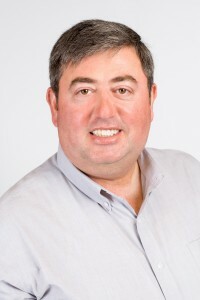 Since completing his degree in Computer Science in 1995, Edvin has worked as a Network Administrator and IT specialist with firms ranging from 40 – 60 users. Prior to joining Parallel Edge, Edvin served as IT specialist for a large, multi-location Architectural Engineering firm in Boston, MA. While there he was an early implementer of a Wiki site for Intranet collaboration, as well as managing the day to day operations of the network infrastructure. Edvin has extensive knowledge of Newforma and Deltek Vision, Microsoft Small Business Server as well as AutoCAD and Revit network deployment configurations. 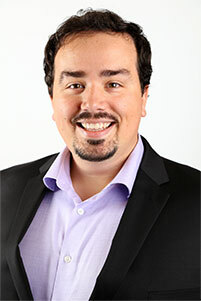 Edvin is a Certified SonicWALL Security Administrator (CSSA) and a Microsoft Certified Professional (MCP). Robin joined Parallel Edge in 2016 with a degree in Business Management. She has spent the previous 13 years working in positions of responsibility providing Office Management and Financial Management support. Her most recent position saw her returning to a major Philadelphia law firm for a combined tenure of 8 years working in support operations. At Parallel Edge Robin is responsible for making sure the finances flow as they should so we can provide the best possible service to our clients. Kevin comes to Informational Technology through Education. Beginning with SoundTree, a division of Korg, where he helped design turn-key music technology learning labs for many schools in the Mid-West. After that, he joined Orchard Friends School in Riverton NJ; a school for children with language-based learning differences. There he helped design and implement their assistive technology program, as well as support their IT infrastructure. After going back to school, Kevin received his Microsoft A+ and N+ certifications, and joined Advanced Information Technology supporting small and medium size businesses in all of their technology needs. When AIT was purchased by Parallel Edge in 2011, Kevin assisted AIT clients in the transition, continued supporting AIT's existing client base, and was offered a permanent position with Parallel Edge, Inc. He is currently working towards his MCITP. Matt has been working as a Network Systems Administrator since 1999. In that time he has managed a 40 person LAN for a Construction Firm located in the Boston area, and immediately prior to joining Parallel Edge, in 2008, he was part of a team managing a large multi-disciplined, multi-site Architectural Engineering firm. 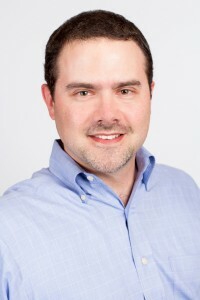 His certifications include the Microsoft Certified Systems Administrator (MCSA) and A+. He is currently working toward Microsoft Certified Systems Engineer (MCSE). Peter has been with Parallel Edge since 2004 and bringing over 10 years of experience with AutoCAD and its customization. Before joining the Parallel Edge team he gained more than 12 years' experience working in the IT field doing network implementations. He has taught all levels of AutoCAD and AutoLISP at Harcum College in Bryn Mawr, PA. In 1996, he served a pivotal role as a network consultant for Hoffman and LaRoche on their campus-wide network for 2 years. 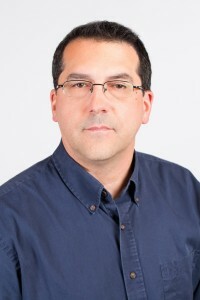 Peter has earned 2 Microsoft Certifications for Windows Server throughout his career and has several years of experience with Novell and Unix environments as well. Philip comes to Parallel Edge after graduating from Anthem Institute, where he studied Computer Networking, and Security. Philip brings 10 years of customer service experience from varying fields to the team. He is currently continuing his education and seeking his A+ and Net+ certifications. 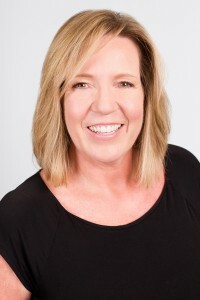 Joining Parallel Edge in 2004, Sondra brings over 20 years of prior experience working in customer service management for various industries. Prior to coming to Parallel Edge, she spent six years with an Internet Service Provider handling among other things the technical services department, managed service orders, handled in house sales, as well as a re-seller program. She was also responsible for handling all domain registrations, renewals, transfers and disputes, and is experienced in dealing with ISPs, web designers and hosting companies. Prior to that she helped implement a new network for a large manufacturing company, and assisted in training the staff and merging two computer systems into the new network. 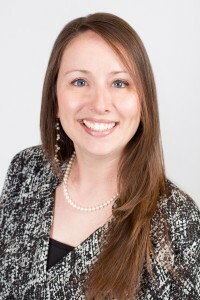 She has experience in accounting applications such as Quickbooks and Accpac, as well as various Microsoft applications. 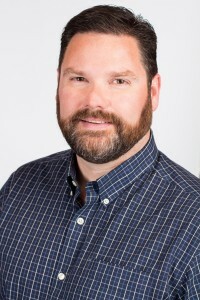 When Michael joined Parallel Edge, in 1999, he brought over 15 years of experience with computer networks and their customization. Prior to joining Parallel Edge, Michael was the CAD manager and network administrator for the New Jersey office of a national construction management firm. He is experienced at combining both hardware and software to provide a total systems solution. 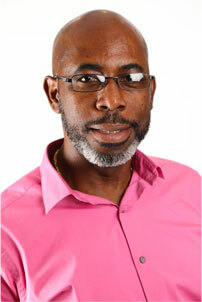 He has been using AutoCAD since version 2.6 and is versed in all aspects of AutoCAD in a production environment. He is also experienced in the use of modeling packages such as Autodesk VIZ and MAX as well as graphical applications such as Photoshop. He has extensive knowledge of Internet and Intranet based authoring solutions for the creation of company Intranets and corporate websites. Ken joined Parallel Edge in 2012 bringing with him experience in IT support and administration that began in 2000 after time in the Army and Army reserves. 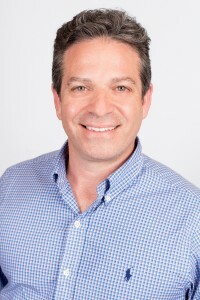 Ken brings a tremendous depth of experience in varied environments, from small office to multi-site WAN operations, to every project he touches. 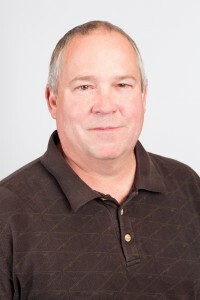 Ken is a certified Novell administrator (CNA) and a SharePoint Administrator. Carmen joined Parallel Edge in 2014. He brings over 18 years of IT support and administration experience to the team. Gaining a wide variety of technical experience working for supply chain and major pharmaceutical firms, he has completed both medium and large-scale migrations as a network administrator on various operating platforms, including Novell and Windows. Prior to joining Parallel Edge he worked in health care IT managing multiple 24x7 nursing facilities in the Philadelphia area. Clinical experience has given him an unique perspective, and clear focus in meeting the needs of clients in an ever-changing technology environment. After 28 years as an Architectural Designer, CAD Manager, and IT Director for top Architecture and Interior Design firms Ted joined Parallel Edge in 2016. His hands on knowledge and practical understanding of the technical and operational needs of AEC firms fit perfectly with the mission of Parallel Edge. 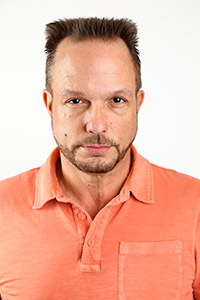 Ted holds a BA degree in Architecture from Drexel University. He has extensive practical knowledge with AutoCAD, Revit, Sketchup, Adobe CC, and Bluebeam just to name a few. As part of the Parallel Edge team Ted continues to broaden his knowledge of the current software in use, and the technical infrastructure required to support the software for efficient operations. Based on his long history of technical support and customer service, Jim was selected to join our team in 2018. He started his career while still in high school and worked his way up into management at Best Buy’s computer support, while completing his CCNA and attending Drexel University. After Best Buy he spend a few years in a refinery environment providing SCCM support and device management. There, he was the technical lead to help other technicians solve problems. Amongst his other skills, Jim has experience with Windows XP, Windows 7, Windows 8, Windows 10, Networking, SCCM Support and Active Directory. Parallel Edge is always looking for experienced individuals with skills in CAD management and network systems. Parallel Edge is a growing firm providing CAD and systems management services to AEC firms in the greater Philadelphia, PA; Princeton, NJ; Wilmington, DE and (most recently) Boston, MA areas. If you like helping people and have AutoCAD, networking, AutoLISP, and other related skills we would be interested in talking to you. Are you a CAD manager or network administrator? Do you have the entrepreneurial spirit? Or are you a consultant that would like to take things to the next level? Parallel Edge is looking for individuals interested in joining our team as we begin to expand. Relocation is not necessary; we are looking for good people with the right skills to open offices in strategic markets nationwide. If you are interested or simply want to find out more about employment opportunities at Parallel Edge, please email us.